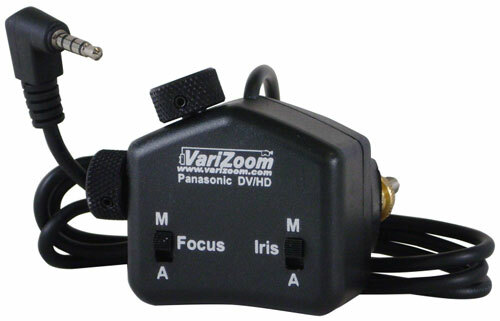 Varizoom DVX-FI (VZ-PFI) Focus / Iris Controller for the HVX200 and DVX100B. The Panasonic DVX-FI by Varizoom is a precision focus and iris control specifically designed for the Panasonic AG-HVX200 P2 and AG-DVX100B MiniDV camcorders. Features include the ability to switch between manual and auto, along with the ability to connect to virtually any tripod handle. Note: AG-DVX100B only; AG-DVX100 and AG-DVX100A not compatible.